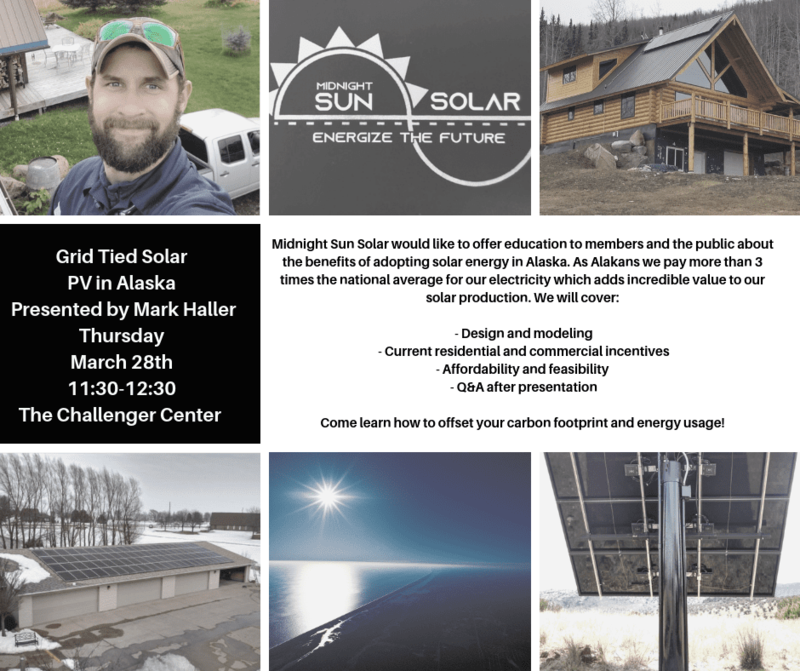 RSVP by 5PM Tuesday, 26 March by filling out the form at the bottom or call 907.293.8071, text 907.690.3311 or email KPBA-Alaska@outlook.com. A KPBA Member - I will bring $10 to the "Lunch and Learn". Not a KPBA Member - I will bring $12 to the "Lunch and Learn". I am interested in KPBA Membership. Please contact me. I am interested in more information from Midnight Sun Solar. Please contact me. I understand that seating is limited. If I am unable to make it, I will contact KPBA immediately to let them know. (Please sign below).